At the Days Inn in Tunica Resorts we pledge to make our guests visit with us an exceptional one. We strive to achieve this by providing each double queen or single king room with a micro-fridge, iron-ironing boards, coffee makers, and hairdryers, as well as any other amenities specifically requested by our guests. We also have business center located in the lobby and free WIFI throughout the property. We provide free local and long distance calls, and USA Today Newspapers. In addition, one can enjoy our Free Daybreak Breakfast, interior corridors and a comfortable meeting environment located in our lobby. The Tunica Resorts Area Offers Heart Pounding Action of the World Class Casino along with Golfing, Fishing, Museums, Tunica Queen Boat Rides as well as other Attractions and Entertainment. At the Days Inn Tunica Resorts we consider ourselves a step above the rest and enjoy accommodating specific needs for our guests to ensure a comfortable and satisfying stay. Our friendly and knowledgeable staff will ensure that every stay at the Days Inn Tunica is comfortable and convenient. We can not wait for you to come see the Days Inn Tunica Resorts. 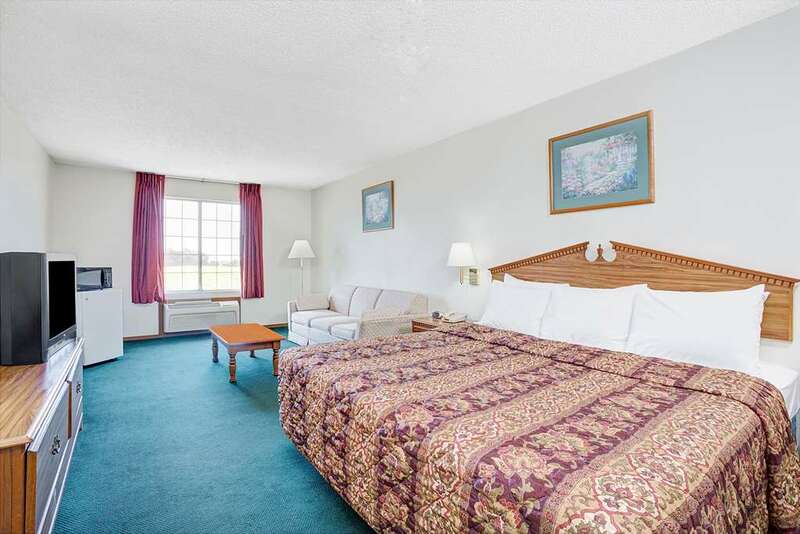 This Beautiful Hotel Offers all the Comfort and Amenities at a Great Value. We look forward to the opportunity to serve you and the formation of a solid relationship for years to come. Pets Allowed- Small pets only- 15.00 per pet per day with Managers approval in advance.